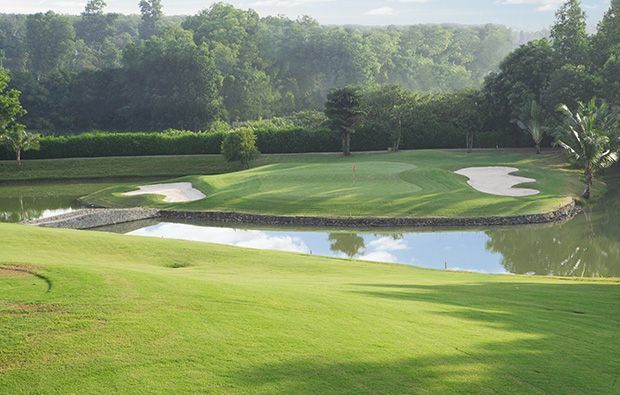 There are 27 holes and each nine is named rather unoriginally A, B & C. It’s no surprise that with 1,000 hectares of water adjacent to the course you are going to encounter plenty of the stuff as you negotiate your way round. 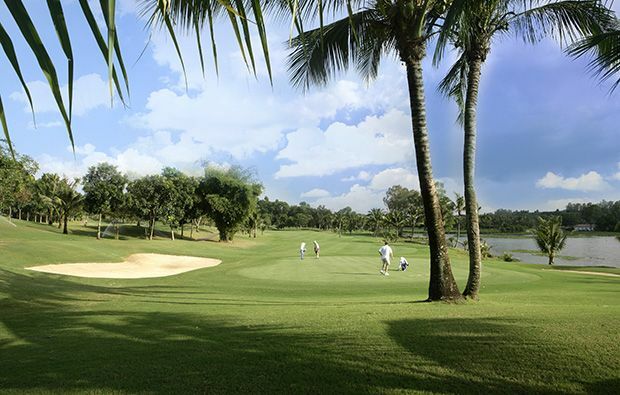 As you head out on the A course you play downhill towards the lake and then the hole turns sharply right and uphill to a well-bunkered green. 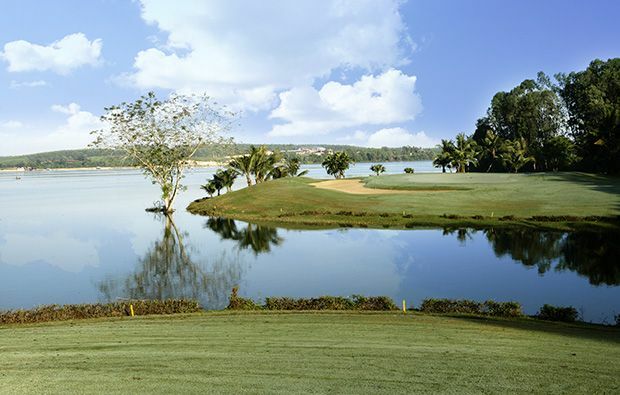 The next few holes then follow the edge of the lake and on the par 4, 2nd the lake encroaches into the fairway twice – once in front of the tee and again around 60 yards in front of the green. 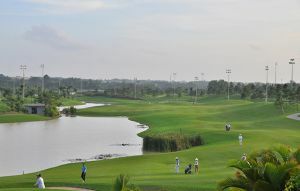 You have to carry across the water on the par 3, 3rd with a large bunker guarding the left side of the green. You then turn inland and from the 5th onwards there is no water but you do need to keep out of the trees which line either side of the fairway. The B course is a very pretty course and 2nd which is a long dog-leg par 5 has a bunker protecting the apex of the turn so you need to keep to the right side of the fairway to avoid it. Those long hitters trying to get up in two need to be aware of the stream which crosses in front of the green which is surrounded by 5 bunkers. A similar problem on the 3rd but no fairway bunkers and you have to carry the water and the greenside bunkers with your approach. The 8th is a simple looking par 3 but beware the two large bunkers behind the green waiting for the over hit shot. 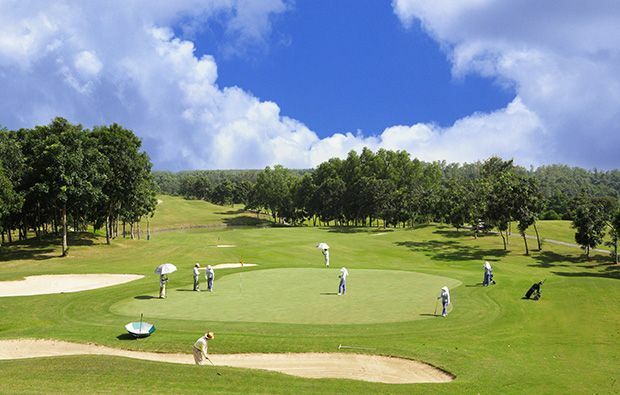 The pick of the holes on the C courses include the par 5, 3rd hole which is a dog-leg with a very narrow landing area protected by three bunkers. It’s important you get your second in the right position as you can get blocked out by the trees short of the green. 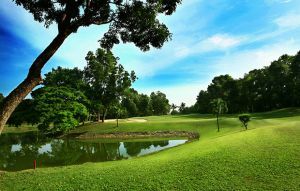 The 4th is a medium length par 3 with a virtual island green which is long and narrow and protected by bunkers either side. The main problem with the par 4, 5th are the four bunkers on the left front side of the green. A daunting tee shot on he 6th requires you to carry the trees if you want to have any chance of getting up in two and then a water hazard crosses in front of the green. The 7th is a fantastic hole, especially from the blue tees with a long carry over water to the fairway and then another shot over water to the safety of the next piece of fairway and an approach to a green with water on the left and a large bunker on the right. A short par 4 to finish but three fairway bunkers pinch the fairway and you will need to play up short unless oyu are a long driver. The clubhouse is a bit dingy but the staff are friendly and they serve adequate food. They have accommodation on site and if you fancy a day off from golf they have plenty of other sporting activities on offer. 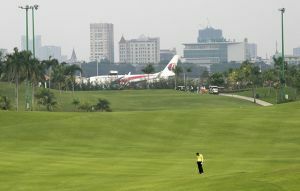 All of the golf courses in Ho Chi Minh get crowded at the weekends so make sure you a book a tee time swell in advance to ensure you are nor disappointed. 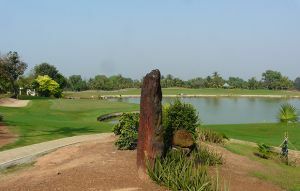 Dong Nai Golf Resort has different Services to offer. Choose a date and number or players to see the rates.